With this product you can accumulate up to 48 Glitter Points. 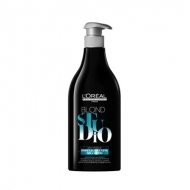 Helps moisturize and nourish hair. 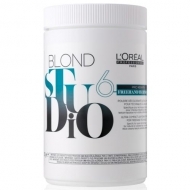 DESCRIPTION: Blond Studio Platinium Ammonia Free from LOréal Professionnel is an ammonium-free bleaching paste to provide a light care action indicated for fine, natural or light-coloured hair with a clearer base (6-7). 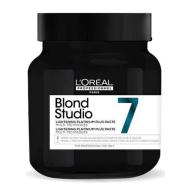 This paste has been enriched with nutricerides and beeswax to soften and soften the hair fibber and promotes hydration and nutrition. 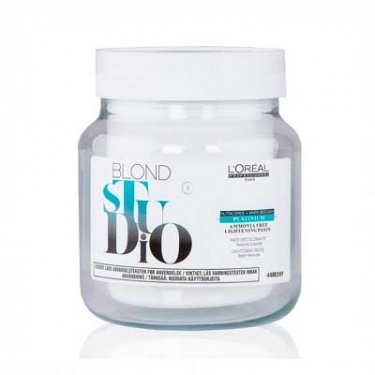 Maintains lipid levels on hair surface for deep revitalization. 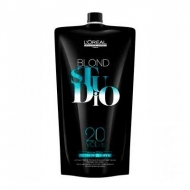 It achieves the best shades of laurel while protecting the hair, thanks to the bleaching paste without ammonia. Mix in ratio 1 + 1 to 1 + 3. Pause time up to 50 minutes, including 15 minutes of hot.